Looking For An Airport Shuttle? Quite frankly, with us you could take that much needed nap while we whisk you off to the airport in style, fully relaxed and on time.Your comfort convenience and safety is guaranteed. Give us the opportunity of winning your trust and confidence through using our shuttle service. Always Insist On A Flat Rate Up Front. With Airport Shuttle Johannesburg, you are guaranteed of a flat rate to OR Tambo and Lanseria airports or Gautrain Station. Relax, breathe easy. With Airport Shuttle Johannesburg there are no hidden fees, as levied by the many unscrupulous airport transportation services around. Perhaps you have been let down by another airport shuttle. With us you always get the complete all-inclusive rate up-front. 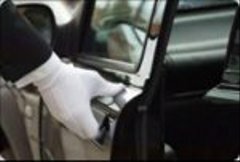 The list of trumped up service charges levied by these limousine services goes on and on - so beware! Reliable Airport Transportation Is Non Negotiable. Greed is the number one reason for shuttle services arriving late - Why? Over booking! Airport Shuttle Johannesburg never over-books. This means we will be on time every time with time to spare. Ride-sharing is not an option - we offer a personal airport car service which means whatever happens to your arrival or departure situation, we can be 100% at your disposal and not have to worry about other ride sharing conflicts. Still Waiting For Your Shuttle Service? Does your airport shuttle service arrive 15 minutes early, eager to help with your luggage? Doubt they track your return flight either? 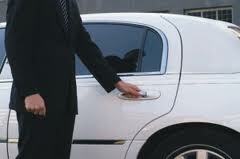 Our airport limousine does this to ensure you are not left waiting even one minute after disembarking. 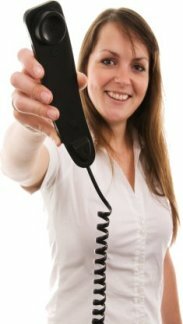 No matter what the excuses given by the airport car service for arriving late (let's not even discuss the "not showing up" possibility) the bottom line is you have not received the service you paid for. So, in all honesty why be bothered? Call For A Booking Now or Request A Quote so that you can relax and know your airport transportation needs are taken care of. Why add the stress of finding suitable airport parking to your already "hectic" list of things-to-do. The drive to the airport is taxing on the strongest set of nerves and finding suitable airport parking will kill any happy thoughts of your upcoming trip. Who wants to trudge all the way back to the airport burdened with heavy luggage while herding children and praying for the (never-there-when-you-need-them)airport transportation to save your day. The stress caused from taking long flights with early departures and late arrivals do take their toll. To be faced with an arduous commute through congested traffic at the end of a long flight is not only unpleasant but can be unsafe as well. Airport parking is more hassle than it's worth, so leave your drive to the airport safely in our hands. This way you eliminate the parking pandemonium altogether. Choose to avoid this extra stress - who needs it? Perhaps there are those, who don't mind a 3 hour tour in a shuttle van after an exhausting flight, whilst waiting their turn as passengers are dropped off throughout Johannesburg. I am sure its the last thing you would want? You are always met by fully qualified, licensed and insured airport limo drivers with Airport Shuttle Johannesburg. The main key to our airport shuttle success can be attributed to one policy. No Overbooking. When there is enough time to make two on-time bookings, we refuse to squeeze in a third. Would you like to share your knowledge about keyphrase? Contribute to www.airportshuttlejohannesburg.com!